There are two other sources for contact information beyond this Parent Guidebook. 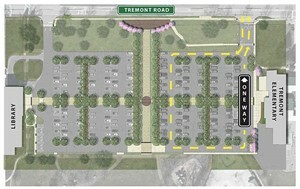 Please refer to the Tremont website, www.uaschools.org/tremont. You can access contact information for teachers and administration from this site under “Parent Links.” Another resource is the TSA’s Student Directory that is published in the fall. Contact information for teachers can be found in the Student Directory and on the website. Phones do not ring into classrooms. You may call and leave a voicemail at any time by calling (614) 487-5170 and the extension number of the teacher you are trying to reach. To contact the teacher by email, use the teacher’s first initial and last name @uaschools.org. The TSA’s Student Directory lists contact numbers of families who wish to be included. Messages for your child can be called in to Mrs. Thomas (487-5170, x 6000) or Mrs. Blackwell (487-5170, x 6033). The office is staffed each school day from 7:30 a.m. to 4:30 p.m. Please notify the school (487-5170, x 6000) of all changes of address, telephone numbers including work numbers, and email addresses. It is important that we have information that permits us to contact parents during the school day. Students are dismissed from the gymnasium to their classrooms at 8:10. Students must be in their classroom by 8:20 a.m. Regular attendance is a significant student responsibility at all grade levels. Regular attendance means that the academic learning process is not interrupted, and students benefit from participation and interaction with others in class. Excused absences may include personal illness, illness in the family, death of a relative and observance of religious holidays. A parent or guardian must notify the Attendance Office (487-5170, x 6033) prior to 8:30 a.m. on a day that the student is absent. If a student is absent from school and the parent has not notified the Attendance Office, the Attendance Office is required to verify why the student is absent. Emergency contacts may be contacted, if necessary. If a student becomes ill during the school day, a parent/guardian will be contacted if the student needs to go home. Please notify the attendance office if your child will be arriving late to school or leaving school early for a medical/dental appointment. The Board of Education has determined that parents may request a “pre-planned absence” for the following: family vacations; college visitations; non-school sponsored educational activities; and unforeseen emergencies. The pre-planned absence form is available on the Tremont website, www.uaschools.org/tremont, under Parent Links. Parents are asked to complete and submit the Pre-Planned Absence Form ten (10) days prior to the first day of the absence. Lunch: 10:55 - 11:15 a.m. Recess: 11:15 - 11:45 a.m.
SSR: 11:45 - 11:55 a.m. Lunch: 11:05 - 11:25 a.m. Recess: 11:25 - 11:55 a.m.
SSR: 11:55 a.m. - 12:05 p.m.
Grade 3 Recess: 11:00 – 11:30 a.m. Lunch: 11:30 – 11:50 a.m.
SSR: 11:50 a.m. – 12:00 p.m.
SSR: 11:10 – 11:20 a.m. Lunch: 11:20 – 11:40 a.m. Recess: 11:40 a.m. – 12:10 p.m. Recess: 11:05 – 11:45 a.m. Lunch: 11:45 a.m. – 12:05 p.m.
Students can purchase lunch from the cafeteria using the cafeteria debit program. The student is issued a unique pin number, which when used, calls up his/her picture to eliminate the possibility of someone else using the account. Money can be added to the account, using a credit card, by accessing the district “EZ Pay” service located on the Tremont’s website Tremont Homepage, under Parent Links, or by cash or by check. Checks should be made payable to Upper Arlington Food Services and should be dropped off in the main office. While cash is still accepted in the cafeteria line, debit account payment is preferred. If cash is used, any change resulting from the purchase will be deposited directly into the student’s lunch account. If a student does not feel well, he or she may report to the clinic only after obtaining a pass from his/her teacher. If the nurse is not in the clinic, the student will report to the main office. If necessary, the nurse or office personnel will make arrangements for the student to be sent home. No student is permitted to leave the building until these arrangements have been made. Prescription medication administration requires a Prescribed Medication Authorization form that has been signed by the student’s parent and physician. With written approval from parent/guardian, medication, such as Tylenol or Ibuprofen/Advil is available for administration in the clinic. To ensure the safety of all of our students, parents who drop off and pick up their children are asked to use the school parking lot. Signs indicating drop-off points are posted in the lot. The only permissible drop off area in our parking lot is the curb along the south side of the building. This area is marked “one way” on the map below. Six cars can drop off at one time — there is room for three cars to pull up beyond the crosswalk in the drop off lane. Please pull forward as far as possible. Please be sure your children are prepared to leave the car when you pull up to the drop-off area. When exiting the drop-off lane, please drive left to exit the lane so cars behind you can pull forward into the drop off area. Please do not have your child exit your vehicle until you are in the drop-off lane next to the sidewalk. For their safety, do not drop off your children in the driving lanes of the lot. Students who ride bicycles to school are urged to be extremely careful and to observe all traffic rules. Students are asked to walk their bikes while on the campus and adjacent sidewalks. Racks are provided for bicycles outside the main parking lot doors. Want to know which BUS your child will ride? Visit the district’s Transportation Parent Portal. This new service allows families to view transportation information, including bus number and stop locations/times. The bus routes will be updated for the upcoming school year after the August Board of Education meeting. Buses will drop off and pick up students on the east side of Tremont Road in front of the school. Parents dropping off students are encouraged to use the drop-off zone in our parking lot. All visitors to the building, including parents, must register in the main office and be issued a visitor’s badge before entering the building. Volunteering? Get your volunteer badge! Please visit the Volunteers webpage to learn how. Please note: For the safety and security of students, all visitors to our school must use the buzzer in the foyer to gain admission. Parents delivering lunch money/lunch, musical instruments, etc. should bring the item(s), with the student’s name clearly marked, to the Main Office counter. Students may stop by the office to collect these items. If the student is unaware the item has been delivered, every effort will be made to inform the student.